[S663] Mary A. Elliott, Thompson Genealogy, page 317. Leonard Jerome was the son of Aurora Murray and Isaac Jerome. Isaac was a distant descendant of Timothy Jerome, a French Huguenot immigrant who arrived in the New York Colony in 1717. Jerome was born on a farm in upstate Pompey, New York. He studied law, graduated from Union College, and set up a practice in Rochester, New York. He later moved to New York City, where he became a stock speculator and promoter. Jerome was a flamboyant and successful stock speculator. He made and lost several fortunes, and was known as "The King of Wall Street". He held interests in several railroad companies. He was a patron of the arts, and was the founder of Manhattan's Academy of Music. He was never majority shareholder in the New York Times newspaper, though this is sometimes erroneously claimed. The Jerome mansion, on the corner of Madison Avenue and 26th Street, had a full theatre and lovely view of Madison Square Park. It was later sold and housed a series of private clubs. The mansion was torn down in 1967. Jerome was an avid sportsman. He enjoyed yachting with his friend, William K. Vanderbilt. They shared a special passion for thoroughbred horse racing and helped found the American Jockey Club. In 1866, Jerome bought the estate and mansion of James Bathgate near Old Fordham Village in what was then rural Westchester County, but is now The Bronx. Jerome and financier August Belmont, Sr. built Jerome Park Racetrack on the Bathgate land; the first Belmont Stakes was held there in 1867. The racetrack was acquired and demolished by the city in 1894, to make way for Jerome Park Reservoir. In Palmyra, New York, on 5 April 1849, he married Clara Hall (1825-1895) with whom he had four daughters. One daughter, Camille, died at age eight. The other three (Jennie, Clara, and Leonie) became known, in some quarters, as 'the Good, the Witty and the Beautiful'. Leonard Jerome was rumored to be the father of the American opera singer Minnie Hauk. He also had an affair in the 1860s with Mrs. Pierre Lorillard Ronalds, then separated from her husband. Mrs. Ronalds later lived in London, where she remained a friend of Jerome's daughter Jennie. Leonard Jerome's wealth afforded his daughters the opportunity to spend much time in Europe where they associated with the aristocratic elite of the day. All three married British husbands. Jennie Jerome married Lord Randolph Churchill (1849–1895), younger son of the Duke of Marlborough, and was mother to Winston Churchill and another son. Clarita Jerome, known as Clara, married Moreton Frewen (1853-1924), fifth son of Thomas Frewen MP, a charming spendthrift who ran up huge debts trying to operate a ranch in Wyoming, and through gambling, sports, and women. They had two daughters. Leonie Jerome married Sir John Leslie (1857-1944), an Irish Baronet, whose family estates covered 70,000 acres. They had four sons. Leonard Jerome died at the age of 73 in Brighton, England. He is buried in the Green-Wood Cemetery in Brooklyn. Frank was a backstroke swimmer from the United States. He was later a bank executive. The son of Frank E. McKinney, former chairman of the Democratic National Committee and a former owner of the NL's Pittsburgh Pirates, McKinney was the youngest member of a USA team that set a world record in the 4x100m medley relay at the 1955 Pan American Games. The sixteen-year-old high school student also won a gold medal in the 100m backstroke. Born in Indianapolis, Indiana, he did the most to introduce modern backstroke techniques. Following Yoshi Oyakawa as premier U.S. backstroker, McKinney was the pioneer of the modern bent-arm backstrokers, even as Oyakawa had been the last of the straight-arm school. McKinney was the leader of a remarkable group of teenagers who won the U.S. Nationals for the Indianapolis Athletic Club alongside Mike Troy, Bill Barton, Bill Cass and Allan Sommers. Later they all swam under another famous coach, Doc Counsilman. McKinney captured a bronze medal in the 200m backstroke at the 1956 Summer Olympics in Melbourne, Australia, and then entered Indiana University. In the 1960 Summer Olympics, he won the Silver in the 100 Metre backstroke and was part of the Gold medal 4 x 100 Medley relay team. McKinney retired from competition after graduating from Indiana in 1961. McKinney spent two years stationed at the Pentagon in Washington, D.C., as a first lieutenant with U.S. Army intelligence. After his military stint was done, he worked for the First National Bank of Chicago for several years. Later he joined American Fletcher National Bank, where he eventually succeeded his father as chairman. From 1978 to 1982 he served as special assistant for Senator Richard G. Lugar and Senator Dan Quayle. He was the president of Bank One of Indiana (previously American Fletcher National Bank), headquartered in Indianapolis when he died, aged 53, in a mid-air collision between two aircraft in 1992. McKinney was traveling to Columbus, Ohio with 3 other civic leaders, who were also killed along with the pilots of both aircraft. Frank was an avid collector of vintage cars including a 1957 Chevy pickup and a 1941 Cadillac that had belonged to his father, and several other collectable Cadillacs. Survivors: wife Marianne Williams McKinney; sons Frank E. III and Robert W. McKinney; daughters Martie, Marlen, Madeline, and Heather C. McKinney; stepson James Ullyot; stepdaughter Kathryn Ullyot; sisters Claire M. Clark and Kathleen M. Stasey. [S182] Social Security Death Index (on-line), Ancestry.com, SSDI, Ancestry.com, SSAN 309-34-2056. [S807] Find A Grave, online http://www.findagrave.com, memorial #129686301. [S336] Ancestry.com, Indiana, Death Certificates, 1899-2011. Indiana Archives and Records Administration; Indianapolis, IN, USA; Death Certificates; Year: 1992; Roll: 16. [S676] Gary Boyd Roberts, Presidents 2009 Edition, page 182. [S676] Gary Boyd Roberts, Presidents 2009 Edition, page 186. Mary A. (?) was born in 1817. She married Selden W. Moore, son of Selden Moore and Philura Holcombe. John Wilkinson was born in 1711 at Wrightstown, Bucks Co., PA. He was the son of John Wilkinson. John Wilkinson married Mary Lacey on 21 March 1740. John Wilkinson married Hannah Hughes in 1770. John Wilkinson died on 31 May 1782. He had five children by his first wife and four by his second. Samuel T. Wilkinson, a descendant of John, resident of Wrightstown, says, "My grandfather though a Quaker, was prominent Whig and Justice of the Peace, and took an active part in the revolutionary war, and the minutes of Wrightstown Monthly Meeting show that he was dealt with a number of times for taking too active a part in the war." It will be remembered the Quakers denied all human authority, and regarded the power of the magistrate as delegated tyranny. Their members therefore were not to participate in building up, or sustaining any government. They preached purity of life, charity in its broadest sense, and denied the right of any man to control the opinions of others. To hold an office was a grave offence sic not to be passed by with impunity. "Hireling ministers," and "persecuting magistrates" were denounced particularly and personally. When Mary Fisher and Ann Austin arrived in Boston 1656, they were cast into prison for inveighing against magistrates and ministers, and the year following the legislature of that colony passed stringent laws punishing all who embraced their doctrines with fines, imprisonments, stripes, banishment and death. The federal commissioners recommended the enactment of this law by a small majority of one only. Soon the prisons were filled, and the old Elm tree on Boston common bore strange fruit, the bodies of suspended Quakers! The bloody law was not abolished till 1661. They had good reasons for denouncing magistrates. Charlotte was Louis' illegitimate daughter born while he was serving in the French Army in Algeria. Charlene Whittstock was born on 25 January 1978 at Bulawayo, Rhodesia. 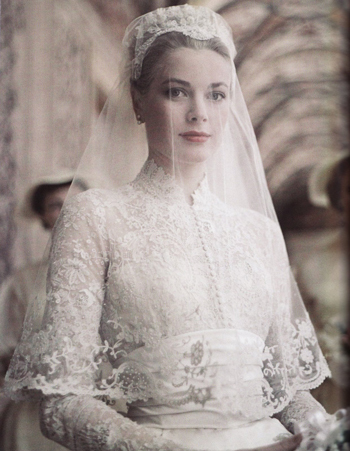 She married Prince Albert Grimaldi, son of Prince Ranier Grimaldi and Grace Patricia Kelly, on 1 July 2011. [S663] Mary A. Elliott, Thompson Genealogy, page 314. Cornelia Holcombe was born circa 1844 at MA.1 She was the daughter of Chandler Holcombe and Juliett Moore.1 Cornelia Holcombe married Alexander Turner on 27 October 1869. Cornelia, enumerated as "Delorna" was enumerated in the 1880 Council Bluffs, Pottawattamie Co., IA, federal census. She was a dressmaker, age 35. Also in the household was son Monroe 9, mother Juliette Holcomb 60, and 3 Alchin children, Nellie 22, Robert 18, and Edith 16. [S713] Rhonda R. McClure, Thomas Brigham, page 4. Ellen T. (?) was born in November 1832. She married Stebbins Holcombe, son of Hermaz Holcombe II and Emily Latham. Ellen T. (?) died on 8 November 1910 at Westfield, Hampden Co., MA. Mrs. Ellen T. Holcomb, widow of Stebbins B. Holcomb of No. 228 Zion street, this city, died in Westfield, Mass. at 7:30 o'clock yesterday morning, aged 78 years. The funeral survices will be held at the Elm Grove Chapel Thursday afternoon at 1:30 o'clock. Edson was enumerated in the 1910 Coffins Grove, Delaware Co., IA, federal census. He was a farmer, age 66. The only child in the household was Maude 29. Carrie (?) married Merton Holcombe, son of Stebbins Holcombe and Ellen T. (?). Selden Moore was born in 1794 at Southwick, Hampden Co., MA. He was the son of Shadrack Moore and Lovice Nott. Selden Moore married Philura Holcombe, daughter of Joshua P. Holcombe and Sarah Smith. Maria Case was born on 22 May 1823. She was the daughter of Philetus Case and Lucinda Reed.1 Maria Case married Clement Holcombe, son of Harlow Holcombe and Anna Clements, in 1866. Maria Case died on 23 December 1911 at Granville, Hampden Co., MA, at age 88. Mrs. Maria C. Holcomb died at her home in Granville, Mass., December 23, of dropsy and heart trouble. She was born in North Canton (now called West Simsbury), May 22, 1823, the daughter of Philetus and Lucinda Reed Case. the home of thelate Alonzon Latimer was the Case family home, where they brought up their family of nine sons and daughters. Jarvis P. Case died in Arkport, N.Y., Seymour N., a lawyer, died in Hartford; Morgan Case died in Avon; none of them living to a great age. One daughter died young. The other five lived long lives. Two were over 90, one 83, one 85, and Mrs. Holcomb, thelast one to pass away, was 88 years and 7 months when she died. In the spring of 1866 she married Clement Holcomb of Granville, a widower with two children, Mary and Arthur. These have both died. Mr. Holcomb died about Easter, near his birthday, in 1893. The next yer Mrs Holcomb took a tripto Chicago to the World's Fair, with a niece. She was a great reader, her Bible being the first book of the day. Years ago, hearing Rev. Timothy Cooley say that he endeavored to turn over a leaf of his Bible every day, she began it, though ever a reader of the book and until the day of her death, had not failed to read a chapter, often two orthree, that she might turnover the leaf, until the last week of her life, when she failed to do so on two days. "The Connecticut Courant" was her valued home paper, and she was a ong-time subscriber. The "Christian Advocate" and "Guardian" she had also taken for years. She was a life member of the American Bible Society, a worthy member of the Congregational Church in Granville, and after Mr. Holcomb's deth, as she grew older, attended the Methodist and Baptist churches, mearer her home, in the morning attending one, in the afternoon the other. She was a generout helper in all the churches, and to any worthy object for which money might be solicited. She would never willingly remain away from church. The Sunday school lessons she enjoyed, and for the last three months she had belonged to the home department, and learned the lesson each week. Though careful and prudent in money matters, she gave freely and cheerfully to any worthy person or any in trouble. She was a quiet, unpretentiouis woman, but a noble one, and her life will be greatly missed in the little communith she had lived so will for more than forty-five years. Her funeral ws held at the Methodist Episcopal Church, Tuesday, December 26, at 1 o'clock, Rev. W. H. Adams officiating, assisted by the local pastors, Rev. Mr. Patt of the Baptist Church reading a fitting poem. The quartet from the Baptist Church sang very sweetly two selections, "Nearer My God to Thee" and "Asleep in Jesus." The bearers were grandnephews. She leaves no children, but a large number of nephews, nieces and grandnephews and nieces. Her burial was in Southeast cemetery. [S710] Gary Boyd Roberts RD600, page 882. Selden W. and Mary were enumerated in the 1850 Andover, Ashtabula Co., OH, federal census. He was a peddler age 29, Mary was 32. Children in the household were Edson E. 6., Chastien J. 5, Frances L. 3, Willis D. 1, and Chancey Wilcox 14. S. W. and Mary A. were enumerated in the 1860 Scott, Ogle Co., IL, federal census. He was a farmer 38, she was 38. Children in the household were Edson 16, Christinna 14, Willis 9, and Horace 5. Selden and Mary were enumerated in the 1870, Coffins Grove, Delaware Co., Iowa federal census. He was a farmer, age 50, she was 51. Children in the household were Edson E. 26, and Willis D. 21. Selden and Mary were again enumerated in the 1880, Coffins Grove federal census. He was a farmer age 60, she was 62. There were no children in the household. Edson was enumerated in the next household. Electa Holcombe was born circa 1802 at CT.1 She was the daughter of CT Holcombe.1 Electa Holcombe married Stephen Elmer. Electa was enumerated in the 1850 Bloomfield, Hartford Co., CT, federal census. She was 47. Children in the household were Elisha 24, Harman 23, Charlotte 16, and Stephen 14. Mary B. Bigelow married Elisha Shepard Elmer, son of Stephen Elmer and Electa Holcombe, in 1852. Mary B. Bigelow died say 1900.